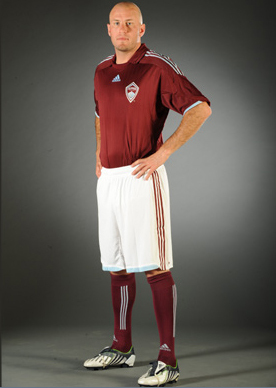 The Colorado Rapids put up a gallery of their new kits today. 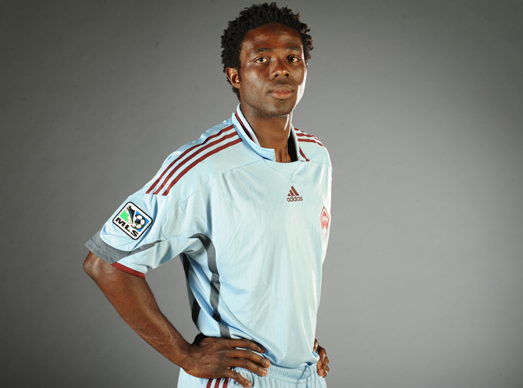 Apparently they are having a jersey sale too for those who want their Rapids gear for 2009. What do you think? Kind of smells like someone will get a jersey sponsor this year. Remember how DC did this a year ago with removing the middle portion of their kit to be blank? That’s how this verison of the Rapids kits are. I will say this, I do like’m a little plain like this for some reason. Getting rid of the tacky “COLORADO” in the middle always bothered me. Now if Dallas, Kansas City and New England would follow suit we’d be all set I think. I noticed this on MLSnet and decided to do a search and it seems to be the case. I've always been in agreement which is one reason why I like kit sponsors. Money is the one thing that finally convinced MLS teams to remove the team and city names from the front of the jersey. That's what badges are for. I think they look great blank. I noticed this on MLSnet and decided to do a search and it seems to be the case. I’ve always been in agreement which is one reason why I like kit sponsors. Money is the one thing that finally convinced MLS teams to remove the team and city names from the front of the jersey. That’s what badges are for. I think they look great blank.